Innovation is vital in transforming all aspects of our life. 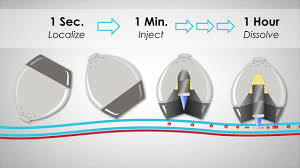 For those with living with diabetes, the recent innovation of delivering insulin via a specialized pill injection from a MIT research is of great interest. It utilizes self-orienting millimeter scale application (SOMA). The capsule contains a small needle that is made up of solid, compressed insulin. The ingested insulin is injected into the stomach wall which is pain less. To learn more please click below.